January, 2018 We are in Japan-Xi'an Huamei Soft Co.,Ltd. 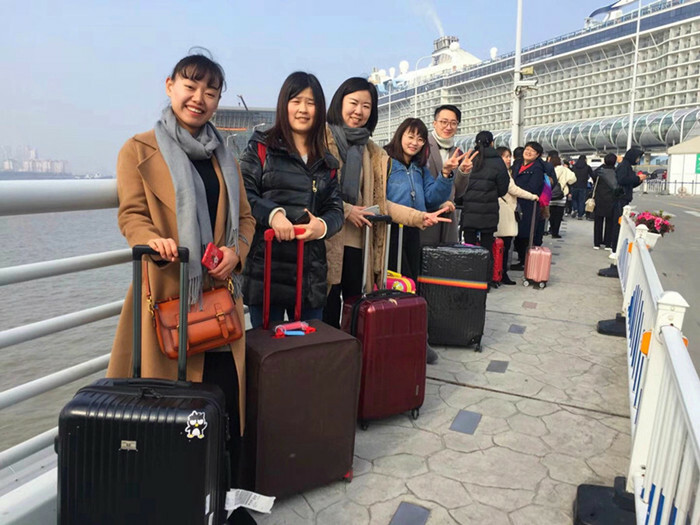 At the beginning of 2018, Huamei employees had a 7-day-6-night travelling chance to Japan with a luxury cruise ship named “Quantum of the seas”. 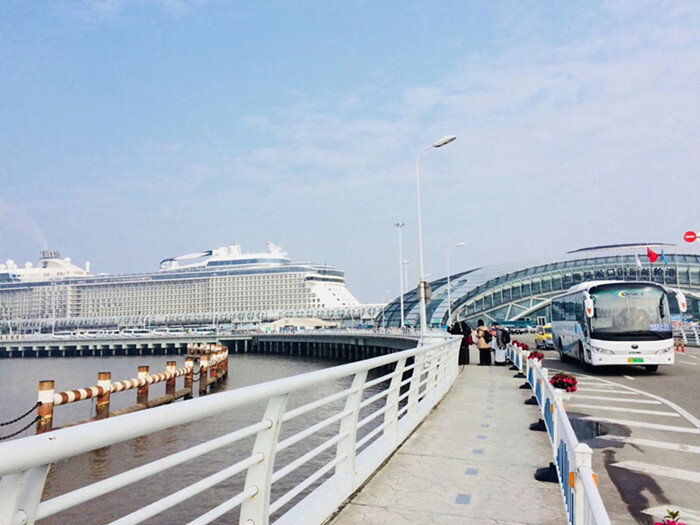 From Shanghai wusongkou international cruise terminal, the blue sea opened its warm heart to us. Every day, when we woke up, we can fully enjoy cultural and entertainment facilities, can taste delicious food from all over the world, can see classical musical and watch all types of movies, can also running, dancing or do yoga in fitness room…The comfortable service made us feel at home. On the fourth day, the cruise ship arrived in Nagasaki, the capital of Nagasaki prefecture, which is a famous city on the west coast of Japan's kyushu island. Nagasaki is one of the few port cities in closed-door past, and it is a transportation hub of Japan. So all kinds of buildings, churches and houses are in European styles, some are in traditional Chinese styles. We went to the peace park―the explosion landing point of atomic bomb. There are huge Nagasaki peace statue, historic monuments from countries around the world. Then, we went to Catholic Oura Church, which is the oldest existing church and the earliest wooden building in the Gothic style in Japan. We prayed in the church, hoping that the future would be better. On the fifth day, we saw the nice view of Okinawa on the lookout point of Cape Chinen Park. After a delicious Japanese lunch, we went to Shuri Castle together. Shuri Castle is the important capital ruins of the ancient Ryukyu Kingdom, also is the famous historical monument of the Okinawa archipelagos. Our wonderful cruise ship travel had come to an end, we returned to Shanghai and went to the Bund and Nanjing road pedestrian street. Life should not only be committed to survival, but also has poetry and the dreaming place. 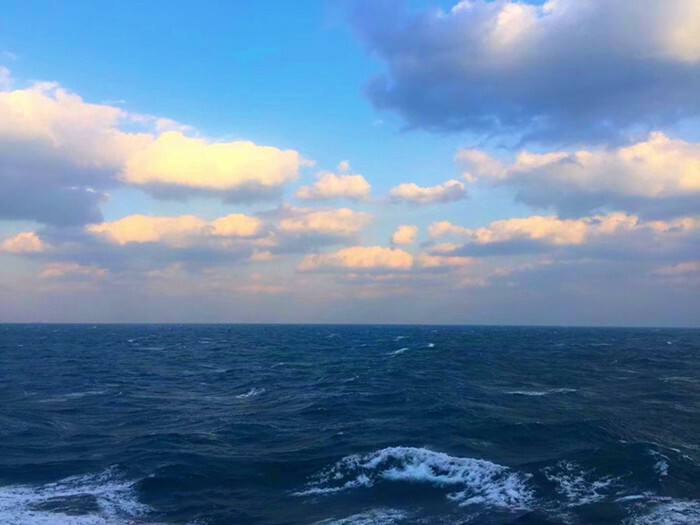 Thanks for our Huamei family, letting us have a chance to relax, accompany family members, and feel the beauty of Japan.